Wastewater analysis is a rapidly developing scientific discipline with the potential for monitoring real-time data on geographical and temporal trends in illicit drug use. Originally used in the 1990s to monitor the environmental impact of liquid household waste, the method has since been used to estimate illicit drug consumption in different cities (Daughton, 2001; van Nuijs et al., 2011; Zuccato et al., 2008;). It involves sampling a source of wastewater, such as a sewage influent to a wastewater treatment plant. This allows scientists to estimate the quantity of drugs consumed by a community by measuring the levels of illicit drugs and their metabolites excreted in urine (Zuccato et al., 2008). In 2010 a Europe-wide network (Sewage analysis CORe group — Europe (SCORE)) was established with the aim of standardising the approaches used for wastewater analysis and coordinating international studies through the establishment of a common protocol of action. The first activity of the SCORE group was a Europe-wide investigation, performed in 2011 in 19 European cities, which allowed the first ever wastewater study of regional differences in illicit drug use in Europe (Thomas et al., 2012). That study also included the first intercalibration exercise for the evaluation of the quality of the analytical data and allowed a comprehensive characterisation of the major uncertainties of the approach (Castiglioni et al., 2014). Following the success of this initial study, comparable studies were undertaken over the following years, covering 73 cities and 20 countries in Europe in 2018. A standard protocol and a common quality control exercise were used in all locations, which made it possible to directly compare illicit drug loads in Europe over a one-week period during eight consecutive years (van Nuijs et al., 2018). For the 2018 wastewater monitoring campaign, raw 24-hour composite samples were collected during a single week in March. These samples were analysed for the urinary biomarkers (i.e. measurable characteristics) of the parent drug (i.e. primary substance) for amphetamine, methamphetamine and MDMA. In addition, the samples were analysed for the main urinary metabolites (i.e. substances produced when the body breaks drugs down) of cocaine and cannabis, which are benzoylecgonine (BE) and THC-COOH (11-nor-9-carboxy-delta9-tetrahydrocannabinol). This report is focused on illicit stimulants. No results for cannabis are reported because cannabis use is estimated by measuring its main metabolite (THC-COOH), which is the only suitable biomarker found so far, but is excreted in a low percentage. More research is needed to understand the excretion percentage of THC-COOH or find alternative biomarkers (Causanilles et al., 2017a). The specific metabolite of heroin, 6-monoacetylmorphine, was found to be unstable in wastewater. Consequently, the only alternative is to use morphine, although it is not a specific biomarker and can also be excreted as a result of therapeutic use. This underlines the importance of collecting the most accurate figure for morphine use from prescription and/or sales reports. The project revealed a picture of distinct geographical and temporal patterns of drug use across European cities (see Interactive: explore the data from the study). The BE loads observed in wastewater indicate that cocaine use remains highest in western and southern European cities, in particular in cities in Belgium, the Netherlands, Spain and the United Kingdom. Very low levels were found in the majority of the eastern European cities studied, but the most recent data show signs of increases. In addition to geographical patterns, wastewater analysis can detect fluctuations in weekly patterns of illicit drug use. More than three-quarters of cities show higher loads of amphetamine, BE and MDMA in wastewater during the weekend (Friday to Monday) than during weekdays. In contrast, methamphetamine use was found to be distributed more evenly over the whole week. 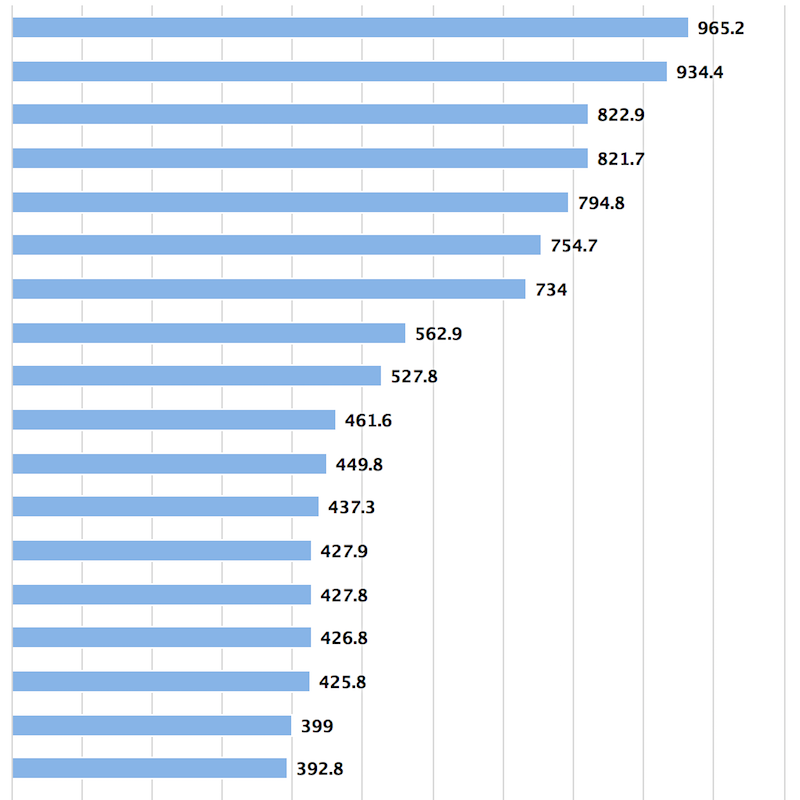 NB: trends in mean daily amounts of benzoylecgonine in milligrams per 1 000 head of population in Antwerp Zuid (BE), Barcelona, Castellon and Santiago (ES), Paris Seine Centre (FR), Zagreb (HR), Milan (IT), Eindhoven and Utrecht (NL), and Oslo (NO). These 10 cities were selected owing to the availability of annual data for 2011-2018. Because different types of information are provided by wastewater analysis (collective consumption of substances within a community) and by established monitoring tools, such as population surveys (prevalence in the last month or year), a direct comparison of the data is difficult. However, the patterns and trends being detected by wastewater analysis are largely, but not completely, in line with the analyses coming from other monitoring tools. For example, both seizure and wastewater data present a picture of a geographically divergent stimulant market in Europe, where cocaine is more prevalent in the south and west, while amphetamines are more common in central and northern countries (EMCDDA, 2017). Similar results are also found in data coming from population surveys on drug use. While the general pattern detected in wastewater is in line with established monitoring tools, there are some exceptions: the amphetamine loads in wastewater in Paris have been below the level of quantification over the consecutive annual monitoring campaigns, contrary to indications from other monitoring tools. Data from established indicators show that methamphetamine use has historically been restricted to Czechia, and more recently also Slovakia, although recent years have seen increased use in other countries (EMCDDA, 2016a). These findings have been confirmed by recent wastewater-based epidemiology, with the highest methamphetamine loads found in Czech, Slovak, German, Spanish and Finnish cities. Established indicators show that, until recently, MDMA prevalence was declining in many countries from peak levels in the early to mid 2000s. Data from wastewater and from established indicators show that this appears to be changing, with the large majority of cities reporting higher wastewater MDMA loads in 2016 or 2017 than in 2011. Recently, a 2018 EMCDDA trendspotter study, analysing multiple data sources, reported that the increase in the availability of cocaine on Europe’s drug markets may be leading to an increasing trend of use in some countries and possibly expanding to Eastern Europe, where the drug was previously little used. Decreases in last year use of cocaine reported for several years in a number of general population surveys seem to have ceased, and the general picture now suggests stable levels of use. In contrast, analyses of wastewater reveal an increase in cocaine residues in most cities for which data were available for 2015 and 2018. While these data clearly indicate an increasing trend in residues during 2015-2018, questions remain about what is driving the increase in cocaine metabolites. While it may indicate that more people are consuming cocaine, it may mean that there is greater use of cocaine by the same people. Alternatively, it may simply reflect the increased purity of cocaine in Europe, leading to increased metabolite detection in wastewater. This increase could also be explained by a combination of these three causes (EMCDDA, 2018). Similarly, studies based on self-reported drug use and those using wastewater data both point towards the same weekly variations in use, with stimulants such as amphetamine and cocaine being primarily used at weekend music events and in celebratory contexts (Tossmann et al., 2001). A limited but steadily increasing number of studies have been published comparing drug use estimates obtained through wastewater analysis and estimates provided by epidemiological surveys (EMCDDA, 2016b; van Wel et al., 2015). While in 2012 only one reported study tried to evaluate sewage analysis alongside traditional epidemiological techniques (Reid et al., 2012), this number has now increased to over 20 published research articles that are focused on comparing information provided by wastewater analysis and information provided by other indicators. A first study, performed in Oslo, Norway, and published in 2012, compared the results from three different datasets (a general population survey, a roadside survey and wastewater analysis) (Reid et al., 2012). Other, more recent studies compare and correlate wastewater-based consumption estimates of illicit drugs with other data sources, including self-reported data (Been et al., 2015; Castiglioni et al., 2016; van Wel et al., 2016a), consumption offences (Been et al., 2016a), illicit drug seizures (Baz-Lomba et al., 2016; Kankaanpää et al., 2014, 2016), purity of drug seizures (Bruno et al., 2018), syringe distribution estimates (Been et al., 2015) toxicological data (Kankaanpää et al., 2014, 2016) and the number of drug users in treatment (Krizman et al., 2016). The majority of comparative studies have been carried out within Europe, including in Belgium (van Wel et al., 2016a), Croatia (Krizman et al., 2016), Germany (Been et al., 2016a), Finland (Kankaanpää et al., 2014, 2016), Italy (Castiglioni et al., 2016), Spain (Bijlsma et al., 2018), Switzerland (Been et al., 2015; Been et al., 2016b), Turkey (Daglioglu, 2019) and across European countries (Baz-Lomba et al., 2016, Castrignanò et al., 2018, Löve et al., 2018). Outside Europe, in recent years studies have been published comparing wastewater-based estimates with other data sources in China (Du et al., 2015), Australia (Tscharke et al., 2015) and in countries where data on drug use is limited due to financial constraints or lack of monitoring tools (Archer et al., 2018; Moslah et al., 2018; Nguyen et al., 2018). These examples confirm the promising future of wastewater-based epidemiology as a complementary approach to obtain a more accurate and balanced picture of substance use within different communities. Wastewater analysis can predict results from population surveys and can be used as a ‘first alert’ tool in the identification of new trends in drug consumption. In order to check the quality and accuracy of data, further comparisons between wastewater analysis and data obtained through other indicators are needed. Wastewater analysis offers an interesting complementary data source for monitoring the quantities of illicit drugs used at the population level, but it cannot provide information on prevalence and frequency of use, main classes of users and purity of the drugs. Additional challenges arise from uncertainties associated with the behaviour of the selected biomarkers in the sewer, different back-calculation methods and different approaches to estimate the size of the population being tested (Castiglioni et al., 2013, 2016; Lai et al., 2014; EMCDDA, 2016b). The caveats in selecting the analytical targets for heroin, for example, make monitoring this drug in wastewater more complicated compared to other substances (Been et al., 2015). Also, the purity of street products fluctuates unpredictably over time and in different locations. Furthermore, translating the total consumed amounts into the corresponding number of average doses is complicated, as drugs can be taken by different routes and in amounts that vary widely, and purity levels fluctuate (Zuccato et al., 2008). 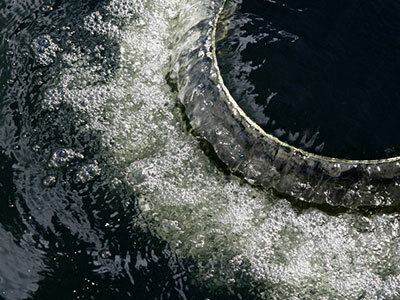 Efforts are being made to enhance wastewater monitoring approaches. For example, work has been undertaken on overcoming a major source of uncertainty related to estimating the number of people present in a sewer catchment at the time of sample collection. This involved using data from mobile devices to better estimate the dynamic population size for wastewater-based epidemiology (Thomas et al., 2017). Wastewater-based epidemiology has established itself as an important tool for monitoring illicit drug use and future directions for wastewater research have been explored (EMCDDA, 2016b). First, wastewater analysis has been proposed as a tool to address some of the challenges related to the dynamic new psychoactive substances (NPS) market. This includes the large number of individual NPS, the relatively low prevalence of use and the fact that many of the users are actually unaware of exactly which substances they are using. A technique has been established to identify NPS that involves the collection and analysis of pooled urine from stand-alone portable urinals from nightclubs, city centres and music festivals, thereby providing timely data on exactly which NPS are currently in use at a particular location (Archer et al., 2013a, 2013b, 2015; Causanilles et al., 2017b; Kinyua, et al., 2016; Mackulak et al., 2019; Mardal et al., 2017; Reid et al., 2014;). The European project ‘NPS euronet’ aimed to improve the capacity to identify and assess the NPS being used in Europe. The project applied innovative analytical chemical and epidemiological methods and a robust risk-assessment procedure to improve the identification of NPS, to assess risks, and to estimate the extent and patterns of use in specific groups (e.g. at music festivals) and among the general population (Bade et al., 2017; González-Mariño et al., 2016). Second, in addition to estimating illicit drug use, wastewater-based epidemiology has been successfully applied in recent years to providing detailed information on the use and misuse of alcohol (Boogaerts et al., 2016; Mastroianni et al., 2017; Rodríguez-Álvarez et al., 2015), tobacco (Senta et al., 2015; van Wel et al., 2016b) and medicines in a specific population (Baz-Lomba et al., 2016, 2017; Been et al., 2015; Krizman-Matasic et al., 2018; Salvatore et al., 2016,). Furthermore, wastewater analysis can potentially provide information on health and illness indicators within a community (Kasprzyk-Hordern et al., 2014; Thomaidis et al., 2016; Yang et al., 2015). Third, the potential for wastewater-based epidemiology to be used as an outcome measurement tool, in particular in the evaluation of the effectiveness of interventions that target drug supply (e.g. law enforcement) or drug demand (e.g. public health campaigns) has not yet been fully explored. Close collaboration between the different stakeholders involved, including epidemiologists, wastewater experts and legal authorities, is highly recommended in order to start examining these potential wastewater-based epidemiology applications (EMCDDA, 2016b). The WATCH project included a 30-day synthetic drug production monitoring campaign in three cities in Belgium and the Netherlands. High levels of MDMA were recorded during the whole monitoring period in one city in the Netherlands, suggesting continuous discharges of unconsumed MDMA from sources within the wastewater catchment area and thus pointing at important drug production in this region. Fourth, by back-calculating the daily sewer loads of target residues, wastewater analysis can provide total consumption estimates, and specific efforts are now being directed towards finding the best procedures for estimating annual averages. In 2016 the EMCDDA presented for the first time illicit drug retail market size estimates in terms of quantity and value for the main substances used (EMCDDA and Europol, 2016c). It is envisaged that findings from wastewater analysis can help to further develop work in this area. Finally, new methods such as enantiomeric profiling have been developed to determine if mass loads of drugs in wastewater originated from consumption or from the disposal of unused drugs or production waste. It is now important to assess the possible utility of wastewater analysis to report on drug supply dynamics, including synthetic drug production (Emke et al., 2014). For example, recent malfunctioning of a small wastewater treatment plant in the Netherlands was caused by direct discharges into the sewage system of chemical waste from a drug production site. Further analysis revealed the actual synthesis process used for the manufacturing of the corresponding drugs. The study confirmed that the chemical waste from the illegal manufacturing of stimulants will result in a specific chemical fingerprint that can be tracked in wastewater and used for forensic purposes. Such profiles can be used to identify drug production or synthesis waste disposal in the wastewater catchment area (Emke et al., 2018). Wastewater analysis has demonstrated its potential as a useful complement to established monitoring tools in the drugs area. It has some clear advantages over other approaches as it is not subject to response and non-response bias and can better identify the true spectrum of drugs being consumed, as users are often unaware of the actual mix of substances they take. This tool also has the potential to provide timely information in short timeframes on geographical and temporal trends. In order to check the quality and accuracy of data, further comparisons between wastewater analysis and data obtained through other indicators are needed. As a method, wastewater analysis has moved from being an experimental technique to being a new method in the epidemiological toolkit. Its rapid ability to detect new trends can help target public health programmes and policy initiatives at specific groups of people and the different drugs they are using. Archer, J. R. H., Dargan, P. I., Hudson, S. and Wood, D. M. (2013a), ‘Analysis of anonymous pooled urinals in central London confirms the significant use of novel psychoactive substances’, QJM 106(2), pp. 147–152. Archer, J. R. H., Hudson, S., Wood, D. M. and Dargan, P. I. (2013b), ‘Analysis of urine from pooled urinals: A novel method for the detection of novel psychoactive substances’, Current Drug Abuse Reviews, online publication, 5 December. Archer, J. R. H., Hudson, S., Jackson, O. (2015), ‘Analysis of anonymized pooled urine in nine UK cities: variation in classical recreational drug, novel psychoactive substance and anabolic steroid use’, QJM, 108 (12), pp. 929–933. Archer, E., Castrignanò, E., Kasprzyk-Hordern, B., Wolfaardt, G. M. (2018), ‘Wastewater-based epidemiology and enantiomeric profiling for drugs of abuse in South African wastewaters’, Science of the Total Environment 625, pp.7928–00. Bade, R., Bijlsma, L., Sancho, J. et al. (2017), ‘Liquid chromatography-tandem mass spectrometry determination of synthetic cathinones and phenethylamines in influent wastewater of eight European cities’, Chemosphere 168, pp.10321–041. Baz-Lomba, J. A., Salvatore, S., Gracia-Lor, E., et al. (2016), ‘Comparison of pharmaceutical, illicit drug, alcohol, nicotine and caffeine levels in wastewater with sale, seizure and consumption data for 8 European cities’, BMC Public Health 16, 1, 1035. Baz-Lomba, J. A., Harman, C., Reid, M. and Thomas, K. V. (2017), ‘Passive sampling of wastewater as a tool for the long-term monitoring of community exposure: Illicit and prescription drug trends as a proof of concept’, Water Research 121, pp.2212–30. Been, F., Benaglia, L., Lucia, S., et al. (2015), ‘Data triangulation in the context of opioids monitoring via wastewater analyses’, Drug and Alcohol Dependence, 151, pp. 203–210. Been, F., Bijlsma, L., Benaglia, L., et al. (2016a), ‘Assessing geographical differences in illicit drug consumption: A comparison of results from epidemiological and wastewater data in Germany and Switzerland’, Drug and Alcohol Dependence 161, pp. 189–199. Been, F., Schneider, C., Zobel, F., Delémont, O., Esseiva, P. (2016b), ‘Integrating environmental and self-report data to refine cannabis prevalence estimates in a major urban area of Switzerland’, International Journal of Drug Policy, 36, pp. 33–40. Bijlsma, L., Celma, A., González-Mariño, I., et al. (2018), ‘Wastewater-based epidemiology: applications towards the estimation of drugs of abuse consumption and public health in general. The Spanish network ESAR-Net’, Revista Espanola de Salud Publica, 92. pii: e201808053. Boogaerts, T., Covaci, A., Kinyua, J., et al. (2016), ‘Spatial and temporal trends in alcohol consumption in Belgian cities: A wastewater-based approach’, Drug and Alcohol Dependence 160, pp. 170–176. Bramness, J. G., Reid M. J., Solvik, K. F. and Vindenes, V. (2014), ‘Recent trends in the availability and use of amphetamine and methamphetamine in Norway’, Forensic Science International 246, pp. 92–97. Bruno, R., Edirisinghe, M., Hall, W., Mueller, J. F., Lai, F. Y., O'Brien J. W., Thai, P. K. (2018), ‘Association between purity of drug seizures and illicit drug loads measured in wastewater in a South East Queensland catchment over a six year period’, Science of the Total Environment 635, pp. 779–783. Castiglioni, S., Bijlsma, L., Covaci, A., et al. (2013),‘Evaluation of uncertainties associated with the determination of community drug use through the measurement of sewage drug biomarkers’, Environmental Science and Technology 47(3), pp. 1452–1460. Castiglioni, S., Thomas, K. V., Kasprzyk-Hordern, B., Vandam, L. and Griffiths, P. (2014), ‘Testing wastewater to detect illicit drugs: State of the art, potential and research needs’, Science of the Total Environment 487, pp. 613–620. Castiglioni, S., Borsotti, A., Riva, F. and Zuccato, E. (2016), ‘Illicit drug consumption estimated by wastewater analysis in different districts of Milan: A case study’, Drug and Alcohol Review 35, pp. 128–132. Castrignanò, E., Yang, Z., Bade, R., et al. (2018), ‘Enantiomeric profiling of chiral illicit drugs in a pan-European study’, Water Research 130, pp.1511–60. Causanilles, A., Baz-Lomba, J. A., Burgard, D. A., et al. (2017a), ‘Improving wastewater-based epidemiology to estimate cannabis use: Focus on the initial aspects of the analytical procedure’, Analytica Chimica Acta 988, pp. 273–3. Causanilles, A., Kinyua, J., Ruttkies, C., et al. (2017b), ‘Qualitative screening for new psychoactive substances in wastewater collected during a city festival using liquid chromatography coupled to high-resolution mass spectrometry’, Chemosphere 184, pp. 11861–193. Daglioglu, N., Guzel, E. Y. and Kilercioglu, S. (2019), ‘Assessment of illicit drugs in wastewater and estimation of drugs of abuse in Adana Province, Turkey’, Forensic Science International 294, pp. 132–139. Daughton, C. G. (2001), ‘Emerging pollutants, and communicating the science of environmental chemistry and mass spectrometry: Pharmaceuticals in the environment’, American Society for Mass Spectrometry 12, pp. 1067–1076. Du, P. (2015), ‘Methamphetamine and ketamine use in major Chinese cities, a nationwide reconnaissance through sewage-based epidemiology’, Water Research 84, pp. 76–84. EMCDDA (2016a), European drug report: Trends and developments, Publications Office of the European Union, Luxembourg. EMCDDA (2016b), Assessing illicit drugs in wastewater: Advances in wastewater-based drug epidemiology, Publications Office of the European Union, Luxembourg. EMCDDA and Europol (2016c), EU Drug Markets report, EMCDDA–Europol. EMCDDA (2017), European Drug Report: Trends and Developments, Publications Office of the European Union, Luxembourg. EMCDDA (2018), Recent changes in Europe’s cocaine market: results from an EMCDDA trendspotter study, Publications Office of the European Union, Luxembourg. Emke, E., Evans, S., Kasprzyk-Hordern, B. and de Voogt, P. (2014), ‘Enantiomer profiling of high loads of amphetamine and MDMA in communal sewage: A Dutch perspective’, Science of The Total Environment 487, pp. 6666–72. González-Mariño, I., Gracia-Lor, E., Rousis, N., et al. (2016), ‘Wastewater-based epidemiology to monitor synthetic cathinones use in different European countries’, Environmental Science and Technology. 50, pp.10089−10096. Kankaanpää, A., Ariniemi K., Heinonen M., et al. (2014), ‘Use of illicit stimulant drugs in Finland: A wastewater study in ten major cities’, Science of the Total Environment 487, pp. 696–702. Kankaanpää, A., Ariniemi, K., Heinonen, M., Kuoppasalmi, K., Gunnar T. (2016), ‘Current trends in Finnish drug abuse: Wastewater based epidemiology combined with other national indicators’, Science of the Total Environment, 568, pp. 864–874. Kasprzyk-Hordern, B., Bijlsma, L., Castiglioni, S., et al. (2014), ‘Wastewater-based epidemiology for public health monitoring’, Water and Sewerage Journal, 4, pp. 252–6. Kinyua, J., Negreira, N., Miserez, B., et al. (2016), ‘Qualitative screening of new psychoactive substances in pooled urine samples from Belgium and United Kingdom’, Science of the Total Environment, 573, pp. 1527–1535. Krizman, I., Senta, I., Ahel, M., Terzic, S. (2016), ‘Wastewater-based assessment of regional and temporal consumption patterns of illicit drugs and therapeutic opioids in Croatia’, Science of the Total Environment, 566/567, pp .454–462. Krizman-Matasic, I., Kostanjevecki, P., Ahel, M. and Terzic, S. (2018), ‘Simultaneous analysis of opioid analgesics and their metabolites in municipal wastewaters and river water by liquid chromatography-tandem mass spectrometry’, Journal of Chromatography A 19, pp.1021–11. Lai, F. Y., Anuj, S., Bruno, R., et al. (2014), ‘Systematic and day-to-day effects of chemical-derived population estimates on wastewater-based drug epidemiology’, Environmental Science and Technology 49, pp. 999–1008. Löve A. S. C., Baz-Lomba, J. A., Reid, M., et al. (2018), ‘Analysis of stimulant drugs in the wastewater of five Nordic capitals’, Science of the Total Environment 627, pp.10391–047. Mackuľak, T., Brandeburová, P., Grenčíková, A., Bodík, I., Staňová, A.,V., Golovko, O., Koba, O., Mackuľaková, M., Špalková, V., Gál, M. and Grabic, R. (2019), ‘Music festivals and drugs: Wastewater analysis’, Science of the Total Environment 659, pp. 326–334. Mardal, M., Kinyua, J., Ramin, P., et al. (2017), ‘Screening for illicit drugs in pooled human urine and urinated soil samples and studies on the stability of urinary excretion products of cocaine, MDMA, and MDEA in wastewater by hyphenated mass spectrometry techniques’, Drug Testing and Analysis 9, pp. 1061–14. Mastroianni, N., López-García, E., Postigo, C., et al. (2017), ‘Five-year monitoring of 19 illicit and legal substances of abuse at the inlet of a wastewater treatment plant in Barcelona (NE Spain) and estimation of drug consumption patterns and trends’, Science of the Total Environment 609, pp. 9169–26. Moslah, B., Hapeshi, E., Jrad, A., Fatta-Kassinos, D. and Hedhili, A. (2018), ‘Pharmaceuticals and illicit drugs in wastewater samples in north-eastern Tunisia’, Environmental Science and Pollution Research International 25, 19, pp. 18226–18241. Nguyen, H. T., Thai, P. K., Kaserzon, S. L., O'Brien, J. W., Eaglesham, G. and Mueller, J. F. (2018), ‘Assessment of drugs and personal care products biomarkers in the influent and effluent of two wastewater treatment plants in Ho Chi Minh City, Vietnam’, Science of the Total Environment 631-632, pp. 469–475. Reid, M. J., Langford, K. H., Grung, M., et al. (2012), ‘Estimation of cocaine consumption in the community: A critical comparison of the results from three complimentary techniques’, BMJ Open, 2(6). Reid, M. J., Baz-Lomba, J. A., Ryu, Y. and Thomas, K. V. (2014), ‘Using biomarkers in wastewater to monitor community drug use: A conceptual approach for dealing with new psychoactive substances’, Science of the Total Environment 487, pp. 651–658. Rodríguez-Álvarez, T., Racamonde, I., González-Mariño, I., et al. (2015), ‘Alcohol and cocaine co-consumption in two European cities assessed by wastewater analysis’, Science of the Total Environment 536, pp. 91–98. Senta, I., Gracia-Lor, M., Borsotti, A., et al. (2015), ‘Wastewater analysis to monitor use of caffeine and nicotine and evaluation of their metabolites as biomarkers for population size assessment’, Water Research 74, pp. 23–33. Thomaidis, N., Gago-Ferrero, P., Ort, C., et al. (2016), ‘Reflection of socioeconomic changes in wastewater: licit and illicit drug use patterns’, Environmental Science & Technology 50, 18 pp.100651–0072. Thomas, K. V., Bijlsma, L., Castiglioni, S., et al. (2012), ‘Comparing illicit drugs use in 19 European cities through sewage analysis’, Science of the Total Environment 432, pp. 432–439. Thomas, K. V., Amador, A., Baz-Lomba, J. A. and Reid, M. (2017), ‘Use of mobile device data to better estimate dynamic population size for wastewater-based epidemiology’, Environmental Science and Technology 51, 19, pp.113631–1370. Tossmann, P., Boldt, S. and Tensil, M.-D. (2001), ‘The use of drugs within the techno party scene in European metropolitan cities’, European Addiction Research 7(1), pp. 2–23. Tscharke, B. J., Chen, C., Gerber, J. P. and White, J. M. (2015), Trends in stimulant use in Australia: A comparison of wastewater analysis and population surveys’, Science of the Total Environment 536, pp. 331–337. van Nuijs, A., Mougel, J.-F., Tarcomnicu, I., et al. (2011), ‘Sewage epidemiology: A real-time approach to estimate the consumption of illicit drugs in Brussels, Belgium’, Environment International 27, pp. 612–621. van Nuijs, A., Lai, Y., Been, F., et al. (2018), ‘Multi-year inter-laboratory exercises for the analysis of illicit drugs and metabolites in wastewater: Development of a quality control system’, Trends in Analytical Chemistry 103, pp. 34–43.van Wel, J., Kinyua, J., van Nuijs, A., van Hal, G., Covaci, A. (2015), ‘Methodological considerations for combining wastewater-based epidemiology with survey research’, Archives of Public Health, 73, Suppl. 1, p. 29.
van Wel, J, H. P., Kinyua, J., van Nuis, A. L. N., et al. (2016a), ‘A comparison between wastewater-based drug data and an illicit drug use survey in a selected community’, International Journal of Drug Policy, 34, pp. 20–26. van Wel, J. H. P., Gracia-Lor, E., van Nuijs, A. L. N., et al. (2016b), ‘Investigation of agreement between wastewater-based epidemiology and survey data on alcohol and nicotine use in a community’, Drug and Alcohol Dependence 162, pp. 170–175. Yang, Z., Anglès d’Auriac, M., Goggins, S., et al. (2015) ‘A novel DNA biosensor using a ferrocenyl intercalator applied to the potential detection of human population biomarkers in wastewater’, Environmental Science and Technology 49(9), pp. 5609–5617. Zuccato, E., Castiglioni, S., Senta, I., Borsotti, A., et al. (2016), ‘Population surveys compared with wastewater analysis for monitoring illicit drug consumption in Italy in 2010–2014’, Drug and Alcohol Dependence 161, pp. 178–188. Zuccato, E., Chiabrando, C., Castiglioni, S., Bagnati, R. and Fanelli, R. (2008), ‘Estimating community drug abuse by wastewater analysis’, Environmental Health Perspectives 116(8), pp. 1027–1032. Loading interactive feature… please wait. Note that this interactive feature requires a modern web browser. In particular, older versions of Internet Explorer (prior to 10) or Internet Explorer 10 running in 'compatibility view' may not work. The 2018 Europe-wide study including over 70 cities revealed a picture of distinct geographical and temporal patterns of drug use across European cities. There are two ways to visualise the data from this study, either viewing the data on a map or using a specially-developed charting tool. You can switch between the two views at any point. How to use the charting tool? To explore the findings of the study, select the 'city' of choice and the 'target drug'. You can compare sites or explore daily and yearly trends. Weekend means refer to the mean loads detected on Friday, Saturday, Sunday and Monday. Weekday means refer to mean loads detected on the other days of the week. The findings from 2011-2018 are included in this tool. Wastewater samples are analysed for the urinary biomarkers of the parent drug for amphetamine, methamphetamine and mdma and for the main metabolite of cocaine (benzoylecgonine) (for more information, consult the analysis section). Filter results by selecting which sites to display from the list below. Note that not all sites have data entries for all possible drug, year and day values. *cocaine: refers to benzoylecgonine, the main excreted metabolite of cocaine. The graphical tool was fully updated March 2019. The number between brackets following the name of a city specifies the number of plants which provided data for this study. E.g. Berlin (4) indicates that the results shown derive from the merge of values detected in four different plants in the town of Berlin. Cocaine: refers to benzoylecgonine, the main excreted metabolite of cocaine. Berlin: when merging the data for the four plants, it was taken into account the fact that no samples were collected in Berlin M in 2014 for Saturday and Sunday, in 2015 for Sunday and Monday, in 2018 for Saturday; for Berlin R in 2017 for Sunday and Monday. Bordeaux: when merging the data for the two plants, it was taken into account the fact that no sample was collected on Wednesday in Bordeaux II in 2018. Bratislava: in 2017 the method of estimating the population has changed (mobile phone connections, including non-permanent residents such as students) compared to previous years (based on census for permanent residents, de jure population). Eindhoven: exhibited high values for MDMA in 2012, 2013 and 2014, which was likely due to the release of unconsumed MDMA into the sewer system. Moreover, Eindhoven exhibited very high values for amphetamine in 2013 (Ort et al., 2014). In 2018 abnormal values of MDMA and amphetamine on Monday and Tuesday were not used for the calculation of weekend/weekday means because they were influenced by discharges of unconsumed MDMA and amphetamine. Madrid: results are based on 1 of multiple plants, covering approximately 10 % of the population. Saarbrucken: data for 2018 derive from the merging of two plants for all substances but methamphetamine, for which values were > the level of quantification in one plant only. Please note that this interactive feature requires a recent browser. Older browsers, in particular versions of Internet Explorer prior to 10, may not function correctly. In addition to the glossary below, see also Frequently-asked questions on wastewater-based epidemiology and drugs. Back-calculation is the process whereby researchers calculate/estimate the consumption of illicit drugs in the population based on the amounts of the target drug residue entering the wastewater treatment plant. Liquid chromatography–tandem mass spectrometry (LC-MS/MS) is the analytical method most commonly used to quantify drug residues in wastewater. LC-MS/MS is an analytical chemistry technique that combines the separation techniques of liquid chromatography with the analysis capabilities of mass spectrometry. Considering the complexity and the low concentrations expected in wastewater, LC-MS/MS is one of the most powerful techniques for this analysis, because of its sensitivity and selectivity. Traces of drugs consumed will end up in the sewer network either unchanged or as a mixture of metabolites. Metabolites, the end products of metabolism, are the substances produced when the body breaks drugs down. Wastewater analysis is based on the fact that we excrete traces in our urine of almost everything we consume, including illicit drugs. The target drug residue is what remains in the wastewater after excretion and is used to quantify the consumption of illicit drugs in the population. Analytical chemists look for urinary biomarkers (measurable characteristics to calculate population drug use) in wastewater samples, which can be the parent drug (i.e. the primary substance) or its urinary metabolites. Enantiomeric profiling is an analytical chemistry technique used to determine if studied drugs in wastewater originate from consumption or direct disposal (eq. production waste). It is based on the fact that chiral molecules (if only one chiral centre is present) exist as two enantiomers (opposite forms) which are non-superimposable mirror images of each other. As the enantiomeric ratio will change after human metabolism, the enantiomeric fraction can be used to determine whether the studied drugs in wastewater originate from consumption. In order to estimate levels of drug use from wastewater, researchers attempt first to identify and quantify drug residues, and then to back-calculate the amount of the illicit drugs used by the population served by the sewage treatment plants (Castiglioni et al., 2014). This approach involves several steps (see figure). Initially, composite samples of untreated wastewater are collected from the sewers in a defined geographical area. The samples are then analysed to determine the concentrations of the target drug residues. 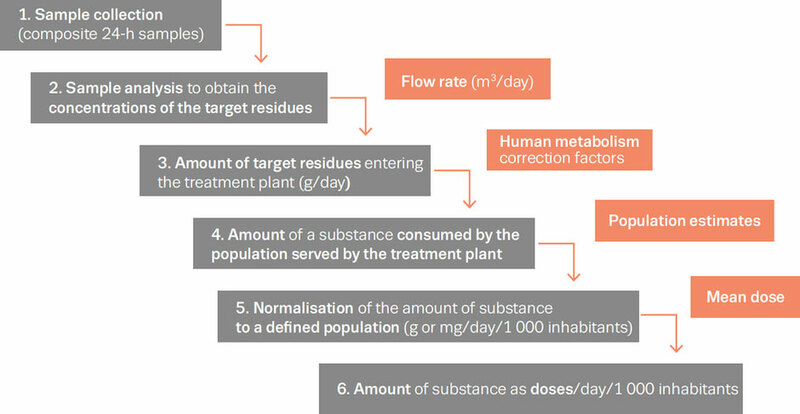 Following this, the drug use is estimated through back-calculation by multiplying the concentration of each target drug residue (nanogram/litre) with the corresponding flow of sewage (litre/day). A correction factor for each drug is taken into account as part of the calculation. In a last step, the result is divided by the population served by the wastewater treatment plant, which shows the amount of a substance consumed per day per 1 000 inhabitants. Population estimates can be calculated using different biological parameters, census data, number of house connections, or the design capacity, but the overall variability of different estimates is generally very high. Although primarily used to study trends in illicit drug consumption in the general population, wastewater analysis has also been applied to small communities, including workplaces, schools (Zuccato et al., 2017), music festivals, prisons (Nefau et al., 2017) and specific neighbourhoods (Hall et al., 2012). Using this method in small communities can involve ethical risks (Prichard et al., 2014), such as possible identification of a particular group within the community. In 2016 the SCORE group published ethical guidelines for wastewater-based epidemiology and related fields (Prichard et al., 2016). The objective of these guidelines is to outline the main potential ethical risks for wastewater research and to propose strategies to mitigate those risks. Mitigating risks means reducing the likelihood of negative events and/or minimising the consequences of negative events. Hall, W., Prichard, J., Kirkbride, P., et al. (2012), ‘An analysis of ethical issues in using wastewater analysis to monitor illicit drug use’, Addiction 107(10), pp. 1767–1773. Néfau, T., Sannier, O., Hubert, C., Karolak, S., Lévi, Y. (2017), ‘Analysis of drugs in sewage: an approach to assess substance use, applied to a prison setting’, Observatoire Français des Drogues et des Toxicomanies, Paris. Prichard, J., Hall, W., de Voogt, P. and Zuccato, E. (2014), ‘Sewage epidemiology and illicit drug research: The development of ethical research guidelines’, Science of the Total Environment 47(2), pp. 550–555. Prichard, J., Hall, W., Zuccato, E., de Voogt, P., Voulvoulis, N., Kummerer, K., Kasprzyk-Hordern, B. et al. (2016), ‘Ethical research guidelines for wastewater-based epidemiology and related fields’: http://www.emcdda.europa.eu/activities/wastewater-analysis. EMCDDA, ‘Wastewater-based epidemiology topics page’, EMCDDA website. EMCDDA, ‘Frequently-asked questions on wastewater-based epidemiology and drugs’, EMCDDA website. EMCDDA (2016), Assessing illicit drugs in wastewater: Advances in wastewater-based drug epidemiology, EMCDDA Insights, Publications Office of the European Union, Luxembourg. University of Antwerp and National Geographic (2013), ‘Behind the science: Drug sewers’ (video), YouTube. Ort, C., van Nuijs, A. L. N., Berset, J.-D., et al. (2014), ‘Spatial differences and temporal changes in illicit drug use in Europe quantified by wastewater analysis’, Addiction 109 (8), pp. 1338–1352, doi: 10.1111/add.12570.